Are you tired of your brand getting lost in a sea of advertising? For today’s businesses, one of the biggest challenges is to find an effective way to advertise. While there are now more advertising mediums available than ever, people tend to tune many ads out, such as small print ads in a magazine or a click-through ad on Facebook. Vehicle wraps, which are large vinyl graphics or decals applied to the outside of a vehicle, are a more efficient way to get your product or service before a larger market. Car wraps also last longer than many other forms of advertising. Today, an increasing number of businesses are using vehicle wraps to boost brand awareness in their local areas. If your company already owns vehicles, trucks or trailers, it’s a wasted opportunity to not get them branded with at least the company logo. Your fleet is seen by hundreds of potential customers each day. Seeing your brand while driving may remind them that they are in need of your services. It keeps your company top of mind, which can make all the difference when a potential customer is in need of what you offer. This is also one of the rare instances where you own the medium. While you can rent ad space on billboards, you don’t have to worry about monthly expenses adding up over time if you already own a fleet of vehicles. You already paid for your business vehicle or fleet, now you just have to utilize them to their full potential! HOW MANY IMPRESSIONS WILL A VEHICLE WRAP GENERATE? The reach of your branded vehicle wrap will depend on how often and when you drive, how many vehicles are wrapped, and your location. It has been estimated that, during a typical day, a single vehicle wrap can generate between 30,000 to 70,000 impressions. According to stats from the Outdoor Advertising Association of America, vehicle wraps offer the lowest cost-per-impression than any other form of advertising. 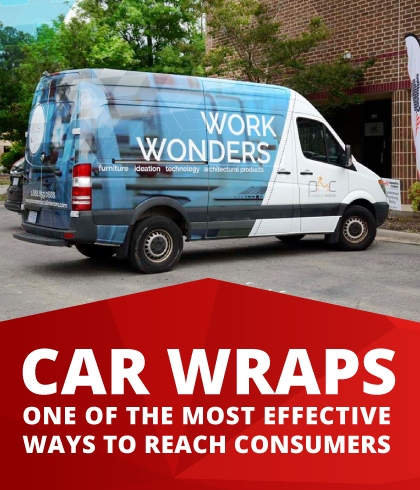 Learn more about the reach and effectiveness of fleet wraps here. The power of vehicle wraps doesn’t stop with impressions. Nielsen recently released a study that showed out-of-home advertising, such as fleet wraps, is the most effective offline medium to drive online activity. According to the study, within six months after seeing an out-of-home advertisement, 46% of people searched online for information about the company. Vehicle wraps are memorable. Even if they don’t call or click right away, they’ll think of you the moment they need your product or service. It usually takes three to four days to print and laminate the graphics for the car wrap. Several hours before taking your vehicle to be wrapped, use brushes or a pressure washer to remove road grime from low-lying parts, inside the door panels and other areas where dirt accumulates. All wax, polish and grease needs to be off the vehicle as that will interfere with the car wrap adhesive. SpeedPro will also clean the vehicle with chemicals to remove any remaining oily residue or contaminates. Once your vehicle is at one of our climate-controlled SpeedPro studios, it takes our certified installers around eight hours to install the wrap. Depending on the size and complexity of the vehicle wrap, we may need the vehicle again a few days later to make sure everything is properly installed. Talk to a SpeedPro studio near you about your vehicle wrap needs and schedule. HOW LONG DOES A CAR WRAP LAST? 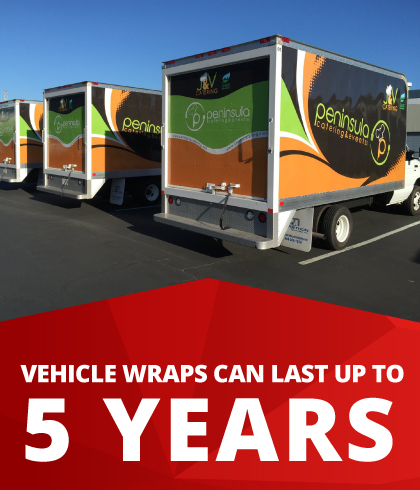 On average, a car wrap will last up to five years. However, the lifespan of a vehicle wrap depends on its quality and whether you hire a professional to print and install the wrap. A poorly made and haphazardly applied wrap could peel off long before its time and damage your car. At SpeedPro, our highly trained studios have superior printing technology and installation methods that allow us to print and install beautiful car wraps. We use solvent long-life inks and laminate the vinyl car wrap with a UV protector to keep your vehicle wrap looking amazing for longer. Perforated window film may not last as long as the rest of a car wrap. Because of perforation, the edges of window perforations may begin to peel under severe heat after 18 to 24 months. However, perforated window vinyl can be replaced without replacing the rest of the car wrap. When you get your vehicle wrapped at SpeedPro, your service comes with a 3-year warranty on the vinyl and a 1-year warranty on the window graphics. Warranties do not apply to damage done to the vehicle or wear and tear. The quality of a professional application will justify the vehicle wrap cost in the end. WILL A VEHICLE WRAP DAMAGE PAINT UNDERNEATH? Wraps are not likely to damage the paint on your vehicles. SpeedPro Imaging offers vinyl car wraps, which serve as a protective coat to paint when applied to the body of a truck, van or trailer. In fact, many fleets apply layers of vinyl anyway to protect trucks from the ravages of rain, hail and flying debris. For vehicles that have recently been painted, the paint will need to cure for several weeks before the car can be wrapped. SpeedPro experts will pre-test your paint job prior to wrapping the vehicle. If your car’s paint is in poor condition, the car paint may peel if the vinyl wrap is ever removed. Discoloration can sometimes occur if your vehicle comes into contact with acidic pollution. If the car wrap ever starts to discolor or turn brown, the graphics can be easily removed to avoid staining the car paint. DO I NEED TO DESIGN MY OWN VEHICLE WRAP? 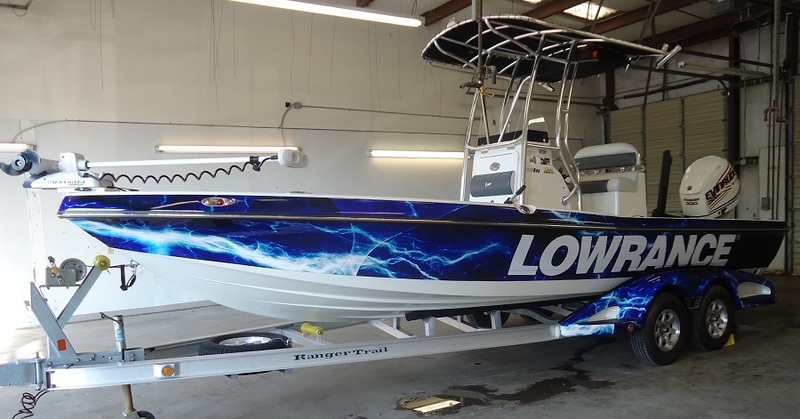 SpeedPro’s printing experts will work with you to create a stunning vehicle wrap design. If you prefer to design your car wrap inhouse or with your agency, your local SpeedPro studio can work with the designer to make sure the images they create will work on your vehicles. Need help creating a vehicle wrap design? Contact your local SpeedPro studio for their expertise. 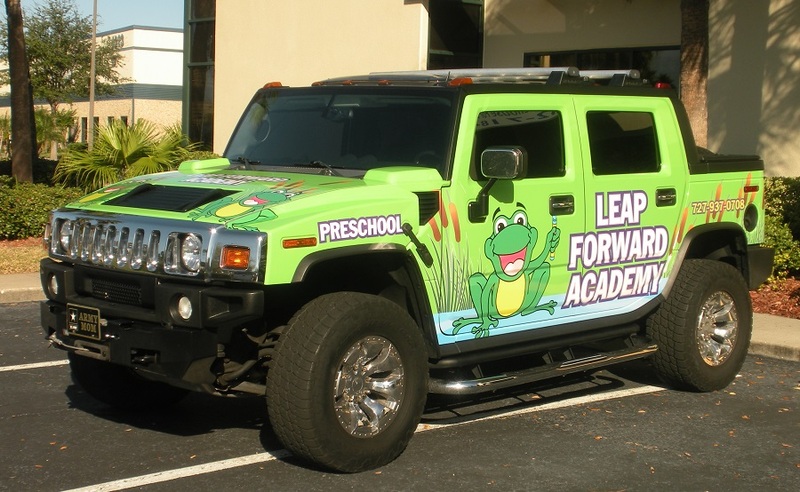 Vehicle wrap design ideas run the gamut from bold and colorful to direct and simple. Ultimately, the purpose of the design is to attract the attention of anyone who sees the vehicle, while at the same time keeping it simple. Not every wrap needs 100% coverage to get attention. Any base vehicle color can be wrapped. Avoid text and logos that would be hidden in the body lines and contours of the vehicle. Some wrinkles and bubbles in car paint are common and can be easily hidden with a good car wrap design that includes the right shapes and colors. For other tips on how to design a vehicle wrap for your business, contact your local SpeedPro studio. The cost of your car wrap design will depend on whether you get a simple decal, partial or full vehicle wrap. 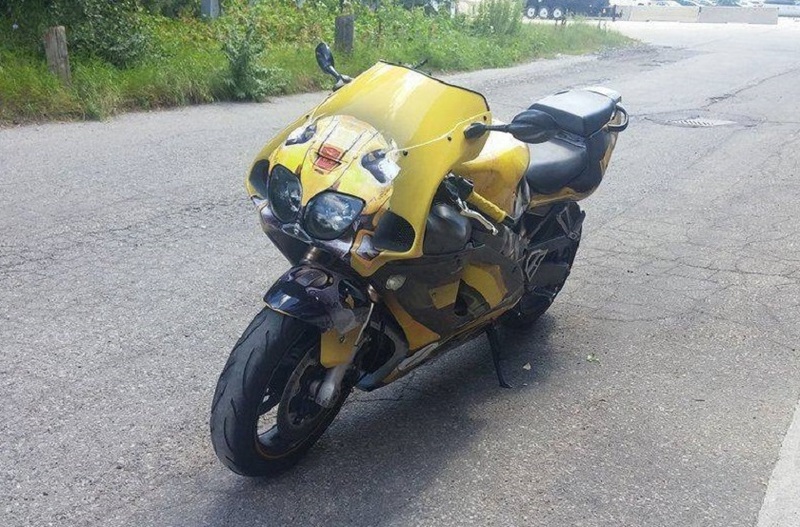 Regardless of the type of vehicle you own – boat, motorcycle, trailer, van or semi-truck – we can design and apply your vehicle wrap. Check out a few of our vehicle wrap designs below. If you’ve invested in a beautiful vehicle wrap, you’ll want to make sure it lasts as long as possible. Once your vehicle wrap has been installed, you’ll want to wait at least a week before washing your car. If your wrap includes window graphics, avoid rolling down the windows or using rear-window wipers as much as possible. It’s best to hand wash your car with a soft sponge and mild soap; however, you can use a car wash as long as they only use a soft brush and avoid high-pressure washes. Do not use corrosives and solvents on the vehicle wrap. For tough dirty spots, try soaking the area with soapy water. If it’s still stuck, try 3M Citrus Base Cleaner. Always test cleaners in an inconspicuous area on your car wrap before applying to make sure it does not damage the wrap. It’s ideal if you can store the vehicle indoors, under a cover or in a covered area when not in use. Read through our detailed car wrap care instructions here. HOW DO I TRACK SALES FROM A VEHICLE WRAP? When you begin advertising with trailer wraps, you’ll typically see a spike in customers. Most businesses that use this form of advertising see a large and immediate uptick. It can be difficult to track the amount of sales that come from a vehicle wrap unless you create exclusive windows of contact through the ad itself. One way to go about this is to set up a unique phone number that will only appear on the vehicle wrap. This way, you can track sales from the vehicle wrap via calls from that number. A similar method would be to involve a unique but short URL exclusive to the vehicle wrap ad, which would lead viewers to a landing page for your business’s website. 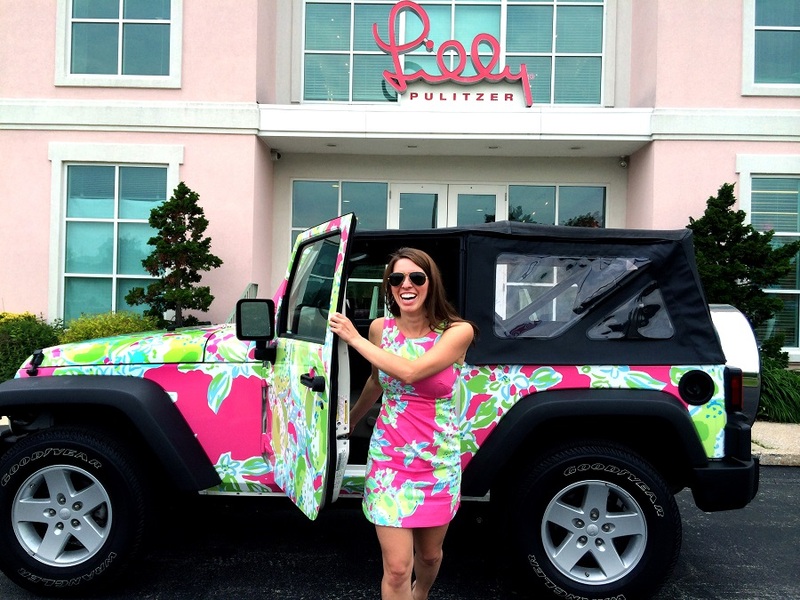 You could even run an exclusive promotional offer to people who respond to the car wrap. CAN A VEHICLE WRAP BE REMOVED? Yes, you can remove a vehicle wrap with the right anti-adhesive solutions. While you can remove the wrap yourself, it’s usually best to have a professional do it. When an inexperienced person handles the task, the wrap can split in various places and ultimately become a lot harder to remove. CAN A VEHICLE WRAP WITHSTAND THE RAIN? Made from vinyl, fleet wraps are waterproof and can withstand rain and thunderstorms. On interstate and cross-country trips, fleet vehicles endure a range of weather conditions, from the hottest summer humidity to the rainiest falls and winters. High-quality van graphics and wraps are designed to handle challenging weather conditions of all levels. DO VEHICLE WRAPS MELT OFF IN HOT WEATHER? As more parts of the country experience waves of 100-degree weather in the summer, SpeedPro’s professional fleet wrappers apply each wrap with care to ensure a snug fit throughout the life of the vehicle wrap. It’s important to consider your area’s heat as a factor in design. While it may be nice to have perforated window graphics as part of your car wrap for both aesthetics and to keep heat out of the car, perforated window edges can detach when exposed to prolonged extreme heat. While the initial cost of a vehicle wrap may be high, keep in mind that it’s more of a one-time investment since you own that space. The cost of a car wrap depends on the size, complexity of the installation, and the style of the design. A simple logo decal will have lower printing and installation costs than a partial or full vehicle wrap. Find a SpeedPro studio near you for an estimate on a vehicle wrap. The type of material used may also affect the cost of fleet wraps. If the vehicle is often driven at night, you may want to consider using reflective film within the design to enhance the appearance during nighttime driving. A typical full car wrap could cost around $2,500 to $3,000. This pricing is based on average costs. Talk to a SpeedPro studio near you for an estimate on how much a car wrap will cost. WHERE CAN I GET A VEHICLE WRAP? When it comes to getting a vehicle wrap for your truck or trailer, it’s important to hire a team of specialists who can expertly handle the process each step of the way – from the initial vehicle wrap design to the final application. Whether you need a vehicle wrap on one truck or a whole fleet, SpeedPro Imaging can turn each of your vehicles into a dynamic, moving billboard for your business. For more than 20 years, SpeedPro Imaging has been the nation’s leading provider of a range of large format printing, from window graphics and trade show displays to wall murals and vehicle wraps. With more than 130 locations from coast to coast, we service companies of various magnitude, from big brands to local businesses. No matter what kind of market you cater to, brand exposure is more important than ever in today’s economy. Tiny ads in papers make little impression on modern consumers. Big, bold vehicle wraps get people looking, talking and clicking. At SpeedPro Imaging, we take satisfaction in seeing businesses succeed with dynamic advertisements on their vehicles. To learn more about our vehicle wrap services or to find a SpeedPro studio near you, check our locations page.